Nilson Moreira da Silva and Magnum’s Martini. Photo by Jenni Autry. Brazil has named a long list of seven combinations for the 2018 FEI World Equestrian Games, including U.S.-based Brazilian Nilson Moreira da Silva with L & N Equestrian’s Magnum’s Martini. 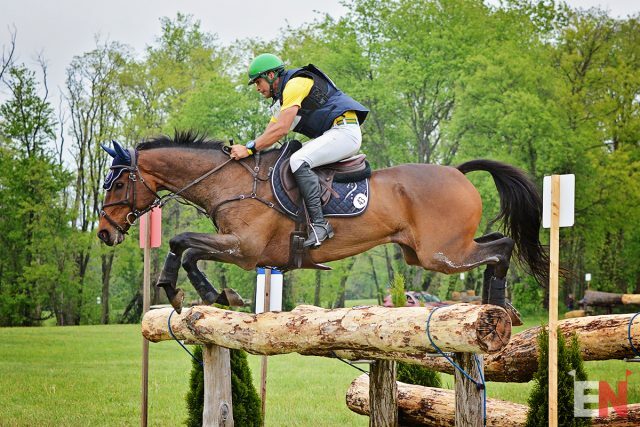 Márcio Carvalho Jorge has been named to the long list provisionally with Coronel MCJ pending the outcome of Camphire International Horse Trials in Ireland this weekend, where he must secure a WEG qualifying score in the CCI3*. Congratulations to all the horses and riders named to the Brazilian long list! Go Eventing.